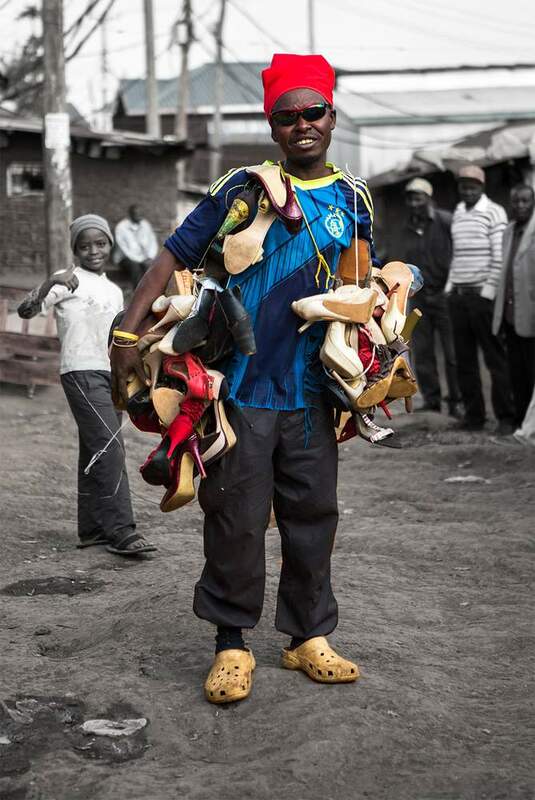 Peter Msyoki sits polishing women’s shoes in Kibera, a vast slum housing perhaps a million inhabitants. He lives and works in front of his shack, cleaning women’s shoes with a pail of dirty water and a sponge. Behind him is a fetid stream he calls “The Riverside”, and in front of him, less than two meters away, is the railway line known as the “Lunatic Express”. 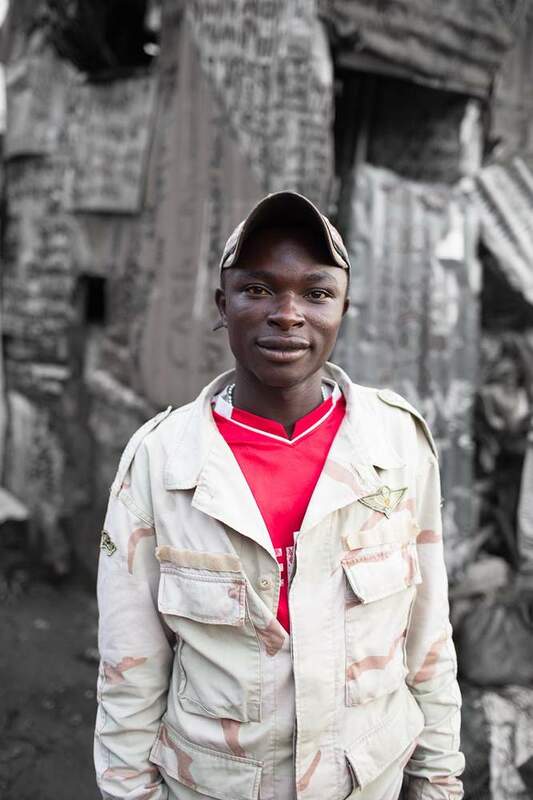 Surrounding him are the chaotic, harried trappings of slum life: A barefoot child drawing in the dirt; A vegetable seller haggling with a customer; a thousand souls heaving to and fro amongst the rubbish, the sewage, and the sweat. Peter tells me he was born here, in this neighborhood, living among the shacks his entire life. As a child, he played on the rail line, and as a teenager, he began his work selling ladies’ shoes. As for his future… he doesn’t know. 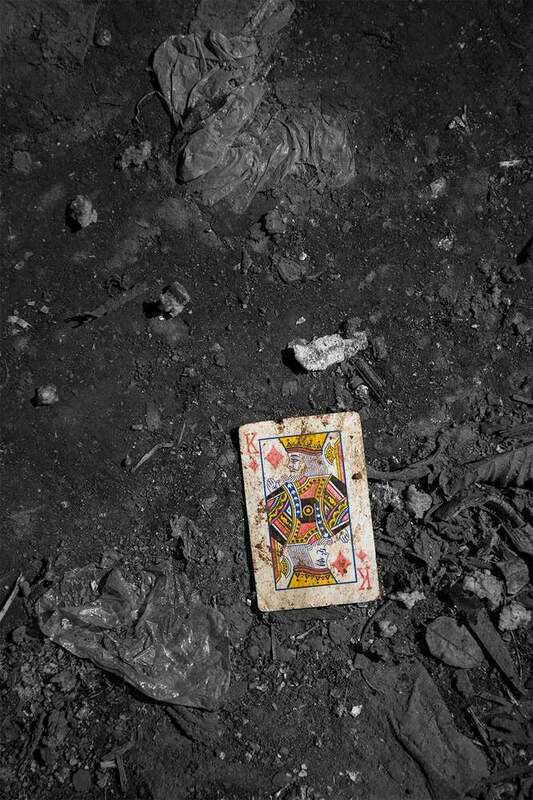 The shoe scrubbing seems endless and meaningless, as each passing train covers them again with the blowing dust and debris of slum life. None of the shoes match each other. As we are speaking, a Kenya Railways passenger train rumbles down the track on its way to and from central Nairobi. Instinctively my body tenses; the bright headlamp of the engine seems to bear down on top of us almost immediately. Hundreds of people part effortlessly, squeezing against the sides of the shacks, scrambling up the muddy slopes, or ducking into narrow passages and alleyways. 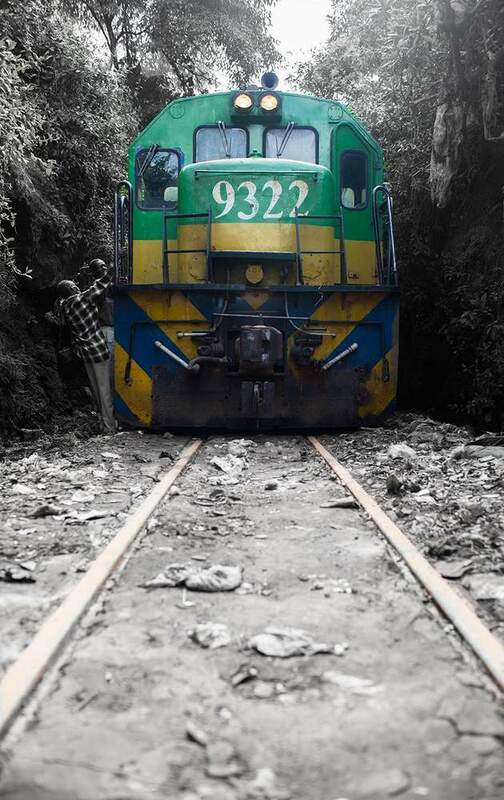 The train passes just centimetres from them. Peter sits unperturbed, continuing to calmly polish his shoes. The earth around us rumbles. The train's horn blasts constantly, children scream and cheer, and a shrieking metal-on-metal sound makes conversation impossible. It’s relentless; Steel, belching smoke, and fire. Once the train passes, the residents immediately close behind it, the warm rails now a main pedestrian street once more. Peter is one of the thousands of people living in this dangerous environment next to the rail line, a situation that the government is finally trying to rectify. 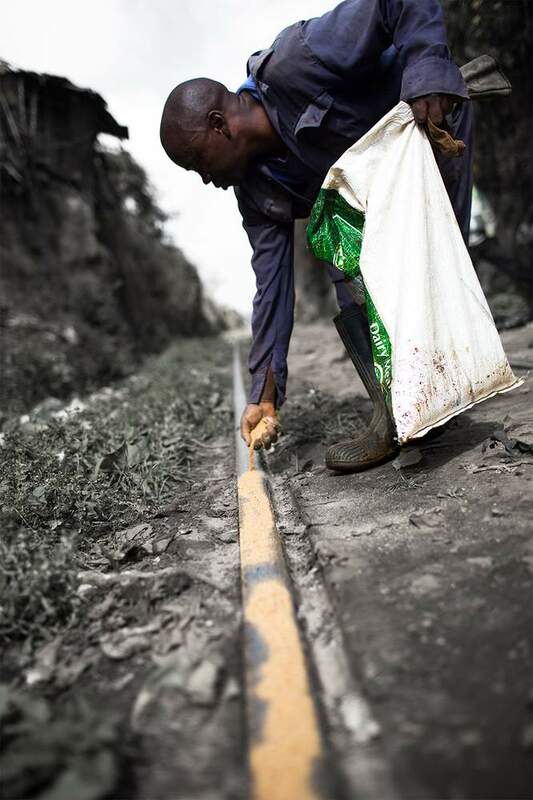 After repeated accidents involving loss of life (and delays on the rail line), Kenya Railways Corporation (KRC) is making good on a promise to clear a 30m-wide easement on either side of the tracks, eventually relocating up to 10,000 shack dwellers under a project called the Railway Relocation Action Plan. The dismantling and relocation of entire neighborhoods can be seen in these satellite photos, taken a year apart. Since the last photo was taken in 2014, the rest of the shacks along the rail line have also been removed, displacing hundreds of people. The project has not been without its challenges. Organized resistance to the plan to evict residents in 2004 resulted in a legal process of enumeration and compensation on behalf of the PAPs (Project Affected Persons). 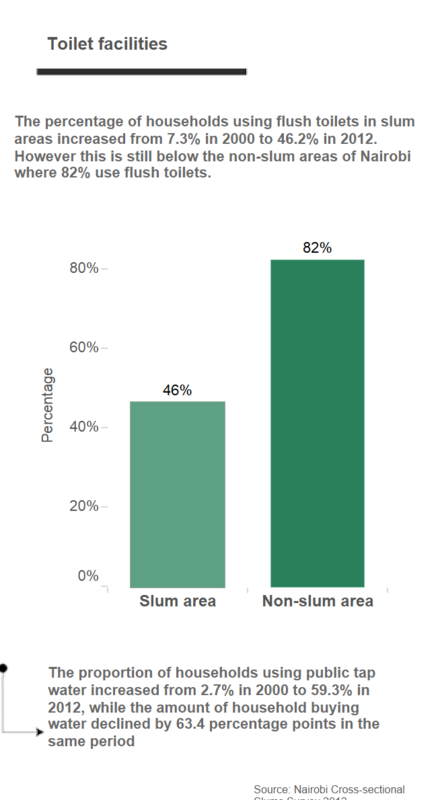 Community rights groups Muungano wa Wanavijiji and Muungano Support Trust (MuST) helped negotiate for fair and decent housing, leading to the ongoing construction of the current flats. But the "Decanting sites", temporary residences for PAPs to use before occupying the new flats, are sometimes frustratingly far away from the original locations of their homes. And allegations that nepotism and outright bribery allowed friends and family of government officials to procure the first homes dog the project. 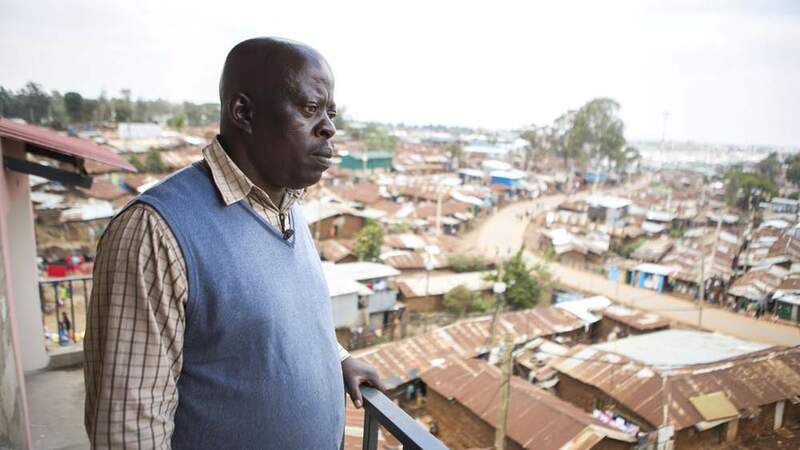 Most worryingly, some residents, including Peter and his cousin, say that they were intentionally skipped over altogether when the enumeration process came to their neighborhood, making them ineligible for the new flats. 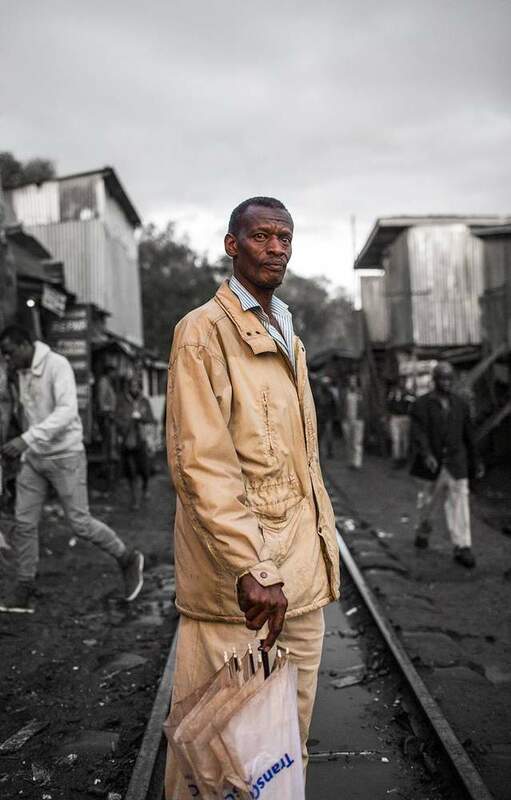 Mr. Abinayo Lahanda is the community liaison between the Kenya Railway Corporation and the local residents of Mashimoni, just metres from where Peter sells his shoes. 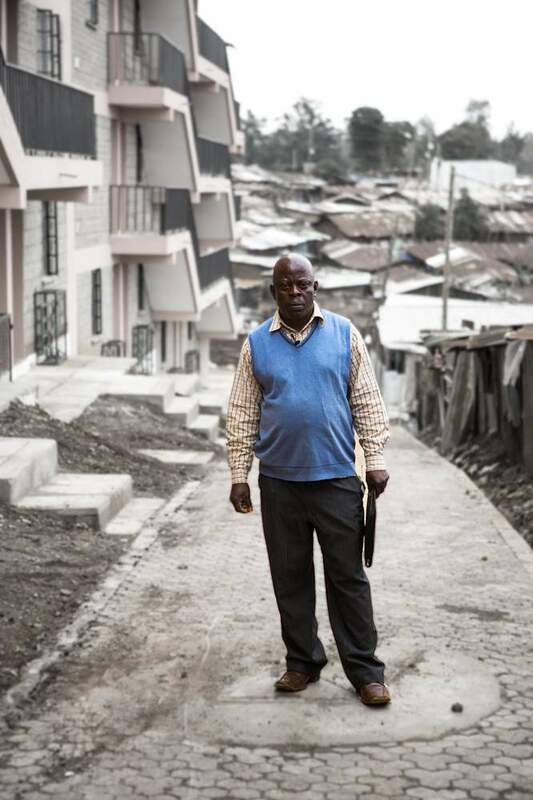 He's a stocky man with an air of authority, jabbing his finger at the new flats, the decanting sites, and the rubbish on the railway tracks as we survey the land that Mashimoni sits on. 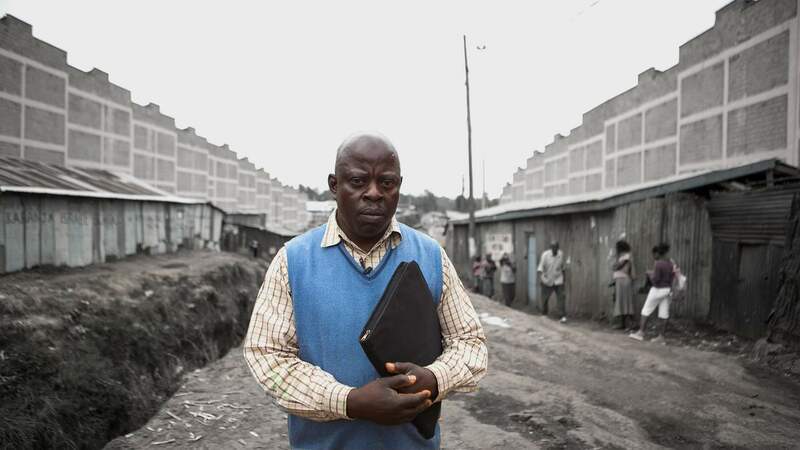 Mr. Abinayo was part of the negotiation process with the KRC, a process he says resulted in a "good deal" for residents. He also helped implement the enumeration process, the process through which residents became registered as a Project Affected Person (PAP). He shows me a tattered ledger inside his office, the sheaves a testament to bureaucracy. Inside the pages are ID photos and personal details of all the PAPs in Mashimoni - the list which separates the haves from the have nots. 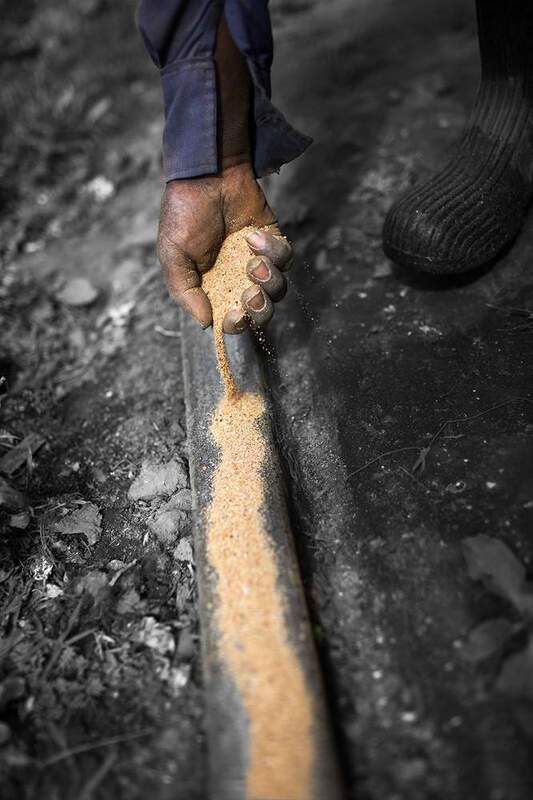 "We told them they can have the land, but in return, they must give us back an alternative. 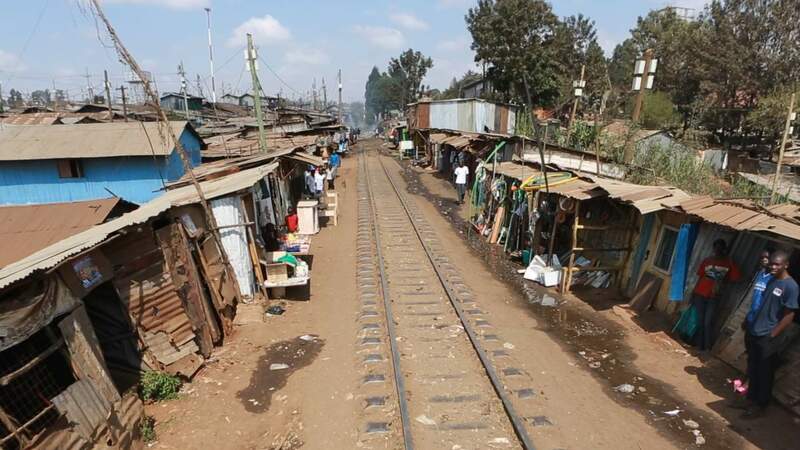 Kenya Railways agreed, and they told us, we’re coming to build houses that are decent. And which can change our lives for the better." Abinayo is understandably proud and quick to point out the benefits the flats will bring, specifically in personal safety. It’s a story I hear from everyone – the damage the railway line has done to people and property. People maimed, children knocked unconscious. Derailments and falling cargo. There’s even rumors of gangland-style executions, suicides, and retribution. The new flats are indeed bright, spacious, and serviced (at least in theory) with electricity and indoor plumbing. Each apartment faces away from the railway line, with a balcony overlooking the shacks below, which stretch to the horizon. 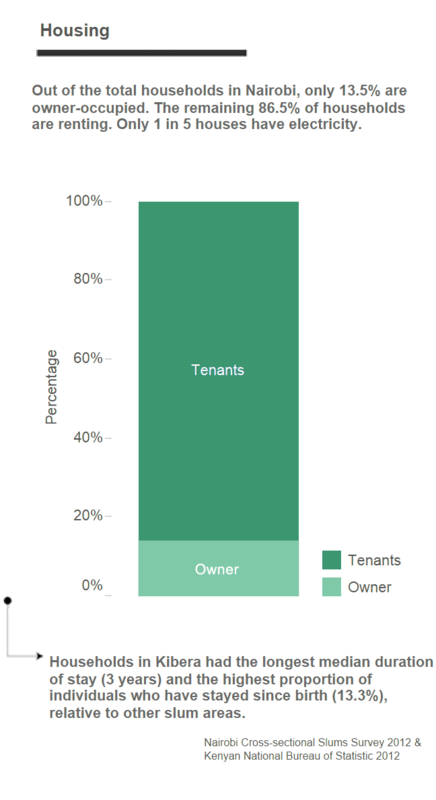 There are even stalls for small businesses to trade on the ground floor, although they are vastly outnumbered by the number of businesses in the community. No one has moved in yet and, except for the piles of dried plaster and paint flakes, they seem finished. It’s eerily quiet, clean, and comfortable. The term I hear over and over again is "dignified". 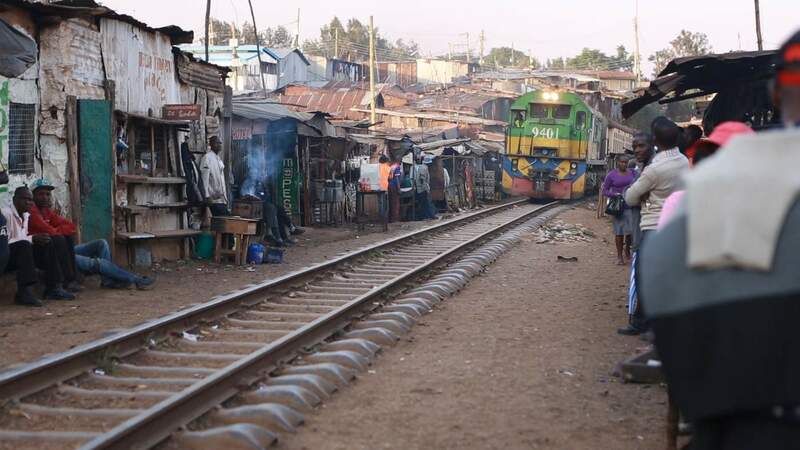 The next day, coming into Kibera along the main road, I notice a freight train idling on the tracks and decide to take a closer look. It’s much longer than the passenger trains, stretching away into the community and around a corner, so long I can’t see the end of it. I climb down the embankment towards the locomotive, slightly nervous at the amount of room between the engine and the cut rock walls. Gingerly stepping past piles of buzzing human waste, I pull myself up onto the locomotive and hail the engineer. His name’s Frank and he looks only mildly surprised to see someone climb onto his train. I ask him what he’s doing idling in this position. Sure enough, a man soon climbs past our window with a pail of sand, and begins spreading it onto the tracks in front of us. I marvel that such a low-tech solution is going to move this massive train. The tracks are soon prepared, Frank invites me to ride along with him. It’s a fascinating glimpse into the world of the Lunatic Express, which, I realize, involves reclining in a seat, half-asleep, scanning the tracks ahead for animals, vehicles, and rocks. The horn incessantly blares, the train slows not at all as we barrel past people and shacks on either side. Clouds of blue smoke waft across the tracks, and occasionally obscure our vision completely. 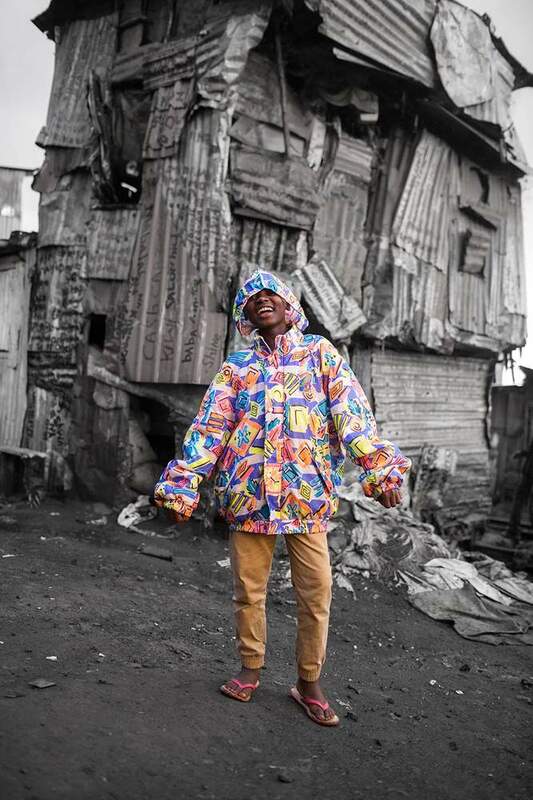 “Stand inside”, Frank commands, because of low-hanging tree branches, people throwing rocks, and the infamous “flying toilets” - bags of human waste hurtling through the air - that Kibera is known for. Skyscrapers rise like shards of glass, impossibly far away in this fascinating landscape. 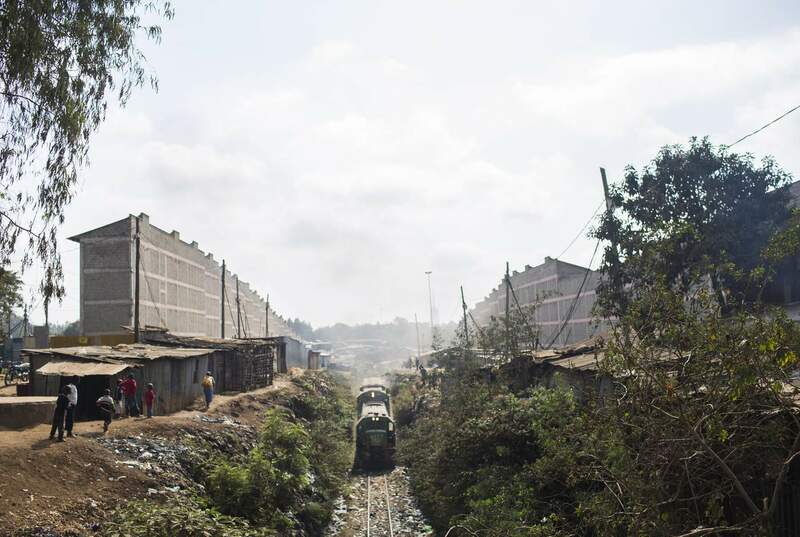 "The housing project is not a commercial venture but a project meant to safeguard the lives of the Kenyans, who are seen as courting death by living near the railway track." When I next see Peter, he is noticeably intoxicated and carrying almost all of his shoes on a series of strings which hang over his shoulder. 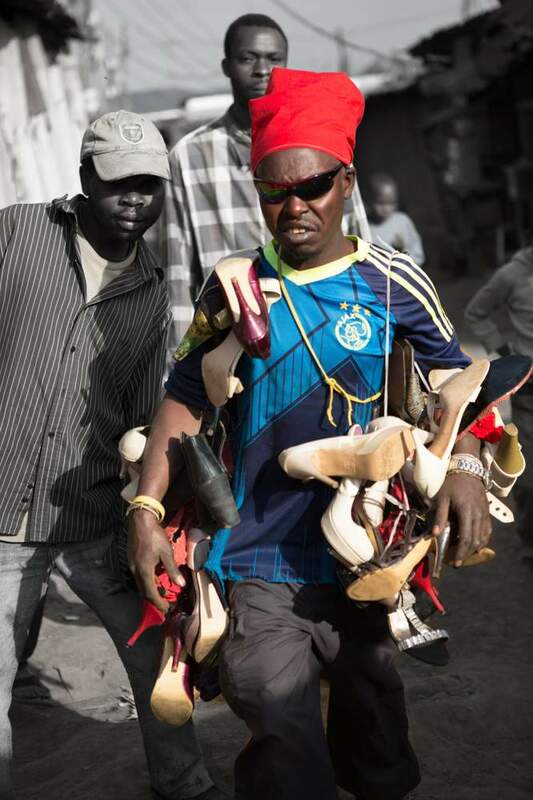 He invites me to walk along with him, as he attempts to sell his shoes to the people in his neighborhood. None of the shoes match, and they look just as dirty as they did before he washed them with his muddy sponge. As he weaves down the streets, strangers point and cover their faces in what looks like embarrassment. Children pull his shoes and follow behind him, laughing as he sings a slightly slurred melody. “Buy my shoes, just one pair of shoes. Won’t you buy my shoes so I can eat? Please”, he tells one woman, “I’ll even give you them for free”. We stop at a slight hill overlooking the rail tracks, and find a moment of quiet reflection in the fading light. He looks up at the towering new flats, a symbol of his own impotence, perhaps, and which dictate to some extent his future. The act seems to have ended, and the real Peter stands with slumped shoulders. Residents of Mashimoni wanting to change the bureaucratic machinery of the relocation have little recourse at this point. The enumeration process has closed, as has the appeals process. For those waiting, both on and off the list, their fate is effectively sealed. Every day the clearing of their homes becomes a little closer to reality. Produced in partnership with Code for Africa and the Thomson Reuters Foundation.